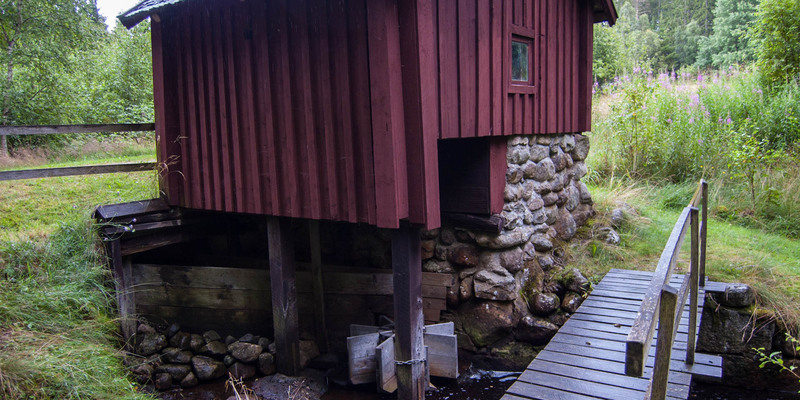 Skvaltkvarnen i Siggamåla is a rare example of a fully functional horizontal water mill. 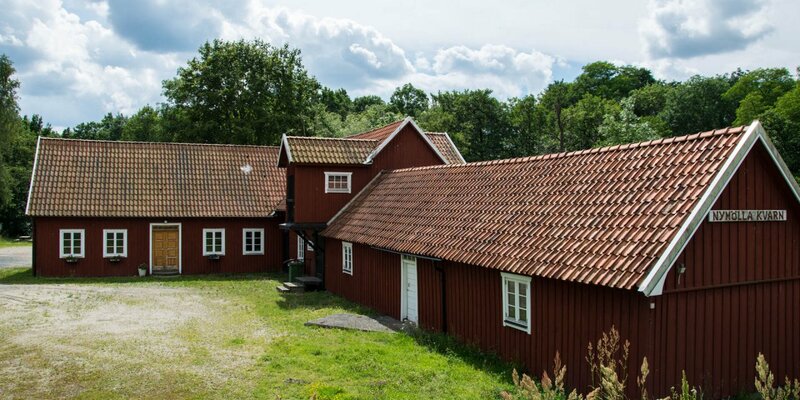 It is located on a stream at the torp Siggamåla, about 8 kilometers west of Ryd. 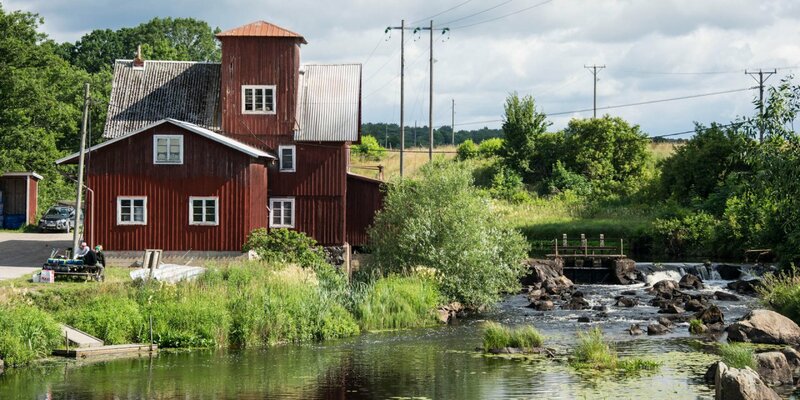 The small water mill dates back to 1822 and was originally located in Ellshultabäcken in the parish Härlunda in the municipality of Älmhult until it moved to its present location in 1875. 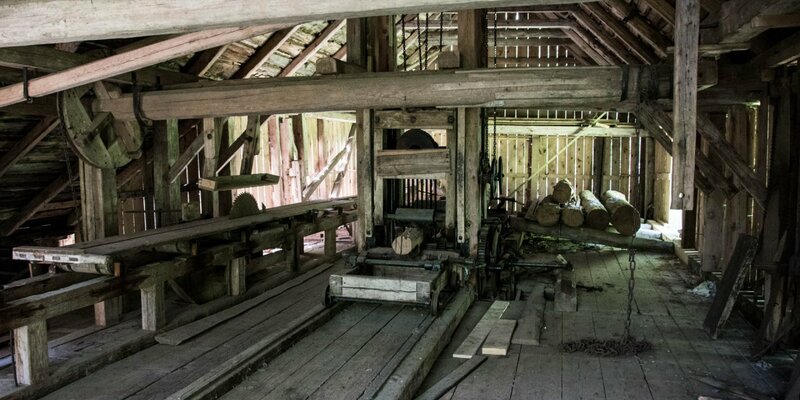 The mill, which is only 10 square meters in size, was regularly in operation until it was shut down in 1918. In 1950, it was purchased by Almundsryd heritage association and has been kept ready for operation. The mill is set in motion on some days in the summer and the flour is sold right there. The waterwheel of the mill is very simple and consists of eight short, straight boards, which are attached to the lower end of the vertical drive shaft. This axis drives the grinding stone lying directly above it. The grindstone rotates at 24 revolutions per minute and the grinding capacity is 4 kg of flour per hour. Horizontal mills have been specially designed for use in small streams. Due to the horizontal wheel, they do not require a large water depth. The mills are situated either directly in the stream or on the shore, extending over the course of the water.